And as you know, in April, we announced that we were reviewing our position on the U.N. Declaration on the Rights of Indigenous Peoples. And today I can announce that the United States is lending its support to this declaration. The aspirations it affirms--including the respect for the institutions and rich cultures of Native peoples--are ones we must always seek to fulfill. And we're releasing a more detailed statement about U.S. support for the declaration and our ongoing work in Indian Country. But I want to be clear: What matters far more than words--what matters far more than any resolution or declaration--are actions to match those words.... That's the standard I expect my administration to be held to. Article 13-1 of the declaration reads "Indigenous peoples have the right to revitalize, use, develop and transmit to future generations their histories, languages, oral traditions, philosophies, writing systems and literatures, and to designate and retain their own names for communities, places and persons" and Article 14-1 reads "Indigenous peoples have the right to establish and control their educational systems and institutions providing education in their own languages, in a manner appropriate to their cultural methods of teaching and learning." The United Nations General Assembly declared 2008 as the International Year of Languages. The National Geographic Society's Enduring Voices Project noted a few years ago that by "2100, more than half of the more than 7,000 languages spoken on Earth--many of them not yet recorded--may disappear, taking with them a wealth of knowledge about history, culture, the natural environment, and the human brain." It identifies language "hot spots" around the world where Indigenous languages are most rapidly being lost, two of which are in the North America. 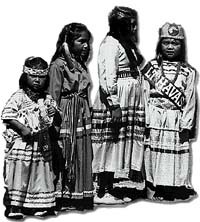 The Native American Languages Act of 1990 makes it U.S. Government policy to promote, protect, and preserve the Indigenous languages of the U.S.A. This "Teaching Indigenous Languages" web site is an outgrowth of a series of annual conferences started in 1994 at Northern Arizona University to help achieve the goals of the Native American Languages Act. These conferences focus on the linguistic, educational, social, and political issues related to the survival of the endangered Indigenous languages of the world. The 25th symposium was organized by the University of Lethbridge and the Peigan Board of Education. It was held at the University of Lethbridge, Alberta, Canada on June 7-9, 2018. To celebrate the Year of Indigenous Languages, we invite you to join us for the 26th Stabilizing Indigenous Languages Symposium in Winnipeg, Manitoba, on the original lands of Anishinaabeg, Cree, Oji-Cree, Dakota, and Dene peoples, Treaty One territory and the homeland of the Métis Nation on June 6-8, 2019. The 27th Stabilizing Indigenous Lnaguage Symposium is scheduled for June 25-27, 2020, at Queen's University in Kingston, Ontario, Canada. To receive conference updates and related information join the Indigenous-L List. At the heart of this site are over a hundred full text papers from the 1994 through 2008 Stabilizing Indigenous Languages conferences as well as the 2000 Learn in Beauty conference and the 1989 Native American Language Issues Institute published in nine monographs. This site also has over 60 columns from the magazine of the National Association for Bilingual Education, articles, and other materials. There is a subject index, a language/tribe index, and links to related sites, including an American Indian / Indigenous Education site. Please direct comments or questions about this site to Jon Reyhner at Jon.Reyhner@nau.edu.